Recommendation #1: Develop a funding stream designed to rapidly increase the development and improvement of active transportation infrastructure and related traffic calming in all Canadian municipalities and in rural areas. Recommendation #2: Establish a national-level forum to consult, share, and develop a plan for moving more people and goods by bicycle in a wide variety of Canadian settings including urban, rural and remote communities. Executive​ ​Summary Cycling for transportation has enormous unmet potential to contribute to the societal transformation needed to combat climate change and achieve sustained economic growth – no small feat for a century-old invention already found in garages and apartments and basements across the country. One of the most intelligent business moves a government can make on behalf of businesses and individuals of all ages, is to help meet the demand for cycling. Canada Bikes challenges the federal government to send a signal to thousands of municipalities across Canada that it intends to directly support cycling and walking infrastructure, invest in research and capacity to further develop this too-often ignored transportation sector and to commit to developing a national active transportation policy. We believe the tremendous benefits of a developed cycling culture in Canada can help reset health and infrastructure system deficits and have spinoff benefits for generations..
Preamble Our transportation sector generates 25% of our GHG emissions with 12% overall coming from personal vehicles. ​A mode shift to cycling lowers GHG emissions, and each 10% increase in cycling mode share removes about 1% of national emissions. We know that a majority of Canadians (66-80%) want greater access to cycling, yet our cycling mode share is only 2%. To shift this to 10%, Canada needs a plan supported by citizens and funded by government. Cycling is very efficient, not just as a means of transportation, but as a means of structuring a city or a family budget​. No one requires proof that trading a car for bicycle – even for a few trips a week – puts money directly back into your wallet. Cycling also makes individuals more productive at work and, and when countries move by bicycle at a large scale, makes for an extremely efficient way to move people around. In Canada, it is already the most time efficient form of transport for the most common type of trip distance in an urban area. Try it: race someone on a bicycle to a destination 4 or 5 kilometers away in a city during rush hour. The impracticality of navigating a large and heavy piece of machinery through the landscape will be clear. Now consider the time and energy spent using the car instead of the bicycle. More productive workers will give Canada a competitive advantage. ​The UK has done significant research to understand this. Their National Institute of Health & Clinical Excellence found that “employees who cycle to work are fitter, healthier, happier, and less likely to take sick days.” When national active transportation research organization Sustrans surveyed people who cycled on the National Cycle Network in the UK, they found that “they take nearly half as many sick days as the average UK worker.” Business-oriented programs have been shown to be directly effective: “Employers involved in the Bikes for Business scheme estimated the average savings to the organisation at £25-80 per month per bike.” Additionally GlaxoSmithKline found that investing in those willing to give up their cars enabled them to make an annual saving of £2,000 per car parking space reduced. Transport for London has estimated that “removing one car parking space could save a business up to £2,000 per year in high-density urban areas.” People want to ride and it is critically important that we attract and retain talent. Simply put, skilled workers want the good life, and that, increasingly, means less car dependence, a more vibrant urban experience, and a chance to be healthy, active and independently mobile. Bosses who do not recognize this risk losing the best workforce to companies that do. Cities that don’t recognize this lose an important competitive edge. Cycling profoundly affects provincial and federal bottom lines in many ways, but perhaps none so powerful as the chronic disease prevention power inherent in fighting sedentary behaviour. As noted in a report released by Statistics Canada in April 2017, “[t]he health benefits of physical activity, including cycling, are widely recognized. In an era when nearly a third of children and youth and just under two-thirds of adults are overweight or obese, cycling for leisure or transport is a valuable form of moderate exercise. That translates directly into dollars. The cost of doing nothing is high. “The estimated direct, indirect, and total healthcare costs of physical inactivity in Canada annually (in 2009 numbers) were $2.4 billion, $4.3 billion, and $6.8 billion, respectively. These values represented 3.8%, 3.6%, and 3.7% of the overall health care costs” in Canada or a total of $13.5 Billion. 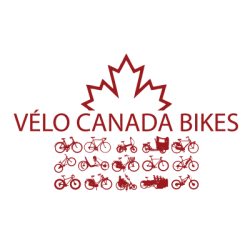 Canadians already love bikes and want to ride far more.​. Statistics Canada found that Canadians are overwhelmingly familiar with cycling with ”an estimated 12 million Canadians (41%) aged 12 or older report[ing[ that they had cycled in the previous year (Table 1). In 2011, 201,800 of Canadian adults report cycling as their primary method of commuting to work ). The near market for cycling is far larger and offers almost unlimited growth potential for the next few decades. Consider one Canadian city already vaunted for bikeability: assuming the installation of a protected cycling infrastructure network to make it safe and convenient, a detailed study covering Metro Vancouver alone projected that 500,000 people would be willing to make a shift. Young people want and need to ride bicycles. ​It is good for their brain, for their sense of well-being, self-confidence and for their long term education. It is important to recognize that young people are very familiar with cycling (82% among 12- to 14-year-olds reported cycling in the same year) yet are unrepresented among the ranks of decision makers at all levels of government. Making it safe to cycle to school requires special effort and it is incumbent upon us to give this particular issue consideration in the development of something as important to their future as the federal budget. Young people overwhelmingly want to be able to cycle to school, yet it is estimated that only 2% of Canadian school children (and their guardians) feel comfortable doing so. Cycling meets government priorities. ​Phase II of the federal government’s infrastructure spending plans will inject an additional $81.2 billion into the economy over 11 years and will focus on public transit, green infrastructure, social infrastructure, trade and transportation projects, and transportation and infrastructure in rural and northern communities. Cycling has an integral role to play in ALL of these categories. We need a large investment and dedicated funding. ​We fear that cycling and walking projects, by virtue of being simple, less invasive, and easy to plan and complete, will lack the attention they require simply by the nature of the funding programs designed to support them. Funding needed for municipalities should not be buried within eligibility for other funding programs or expected to compete with big projects like subways or wastewater treatment plants. It has been estimated that Canada’s cycling infrastructure deficit alone amounts to more than $64Billion dollars (based on current build costs of protected cycling infrastructure and the amount of existing investment in the leading cycling jurisdiction). Cycling makes the most of transit. Cycling in particular offers the potential of expanding the reach of a given transit stop or station (which is usually designed for first mile and last mile walking) by 9X. Current federal government funding plans only make cycling eligible, and often target transit agencies whose mandate and project scopes do not extend to the creation of the neighbourhood-wide cycling networks that would be of most benefit. We need specific, targeted funding to help provinces and municipalities make the choice to invest in walking and cycling as solutions in their own right. 1. The budget of the Government of Canada should explicitly mention walking and cycling in the budget itself ​in the context of their importance to Canada’s economy, the health of individual Canadians, the efficiency of our transport systems and our commitments to addressing climate change, and our obligations under the National Transportation Policy declaration of the Canada Transport Act, specifically the need to ensure that “the transportation system is accessible without undue obstacle to the mobility of persons, including persons with disabilities”. 2. The Government of Canada should establish a dedicated fund to match walking and cycling infrastructure investments made by provinces and municipalities across Canada in the amount of $2.1B over 3 years above and beyond that which is already eligible or likely to be included as part of the Public Transit Infrastructure Fund or Green Infrastructure Fund (See our infrastructure proposal and appendix for details). 3. Including the specific words cycling and walking in the context of the Pan Canadian Framework on Climate Change​ as a key strategy. 4. Continue to allow​ ​cycling​ ​and​ ​walking​ ​projects​ ​to​ ​be​ ​eligible​ ​under​ ​Public​ ​Transit​ ​Infrastructure​ ​Fund. 5. Allocate funding for the development of a national active transportation strategy (which will simultaneously address cycling, walking and children’s mobility policy at a national level). 6. Invest in research, evaluation and programming capacity ​so that funding is available for non-governmental organizations and governments to do the ongoing work required to support, implement and measure the effect of investment in infrastructure.